So plays out an exercise of improvisation among business colleagues. That the sentence doesn’t make sense is beside the point. Participating in groups of three, each member added one word at a time. It meant that each of them had to listen to the others, be present to the exercise, and let go of where they wanted to take the story. And, underlying the whole process, they all had to practice a Yes, And perspective. Yes, And is the most basic building block of improvisation and stands in contrast to No or Yes, But. With a Yes, And perspective one accepts what another offers and builds on it and never dismisses or denies. The Yes, And perspective makes space for an idea to breathe before being shot down, sometimes just the moment that is needed for a new idea to develop into something worth pursuing. Yes, And promotes the creation of a safe and courageous space and in turn supports risk taking and encourages innovation and creativity. I’ve been leading groups to perform improv exercises on a regular basis this past year The participants quickly get over any shyness. They pay attention, focus and have fun. Their energy goes up and they leave a little more open to possibilities and willing to engage with others. Improvisation is an activity that allows participants to experience new concepts and in a visceral and lasting way. The intent is not to try to be funny or to deliver a performance in front of their peers. Instead, participating in a structured series of improv exercises can be a form of emotional intelligence in action and offers a creative learning experience. Though the exercises may feel like play, improv promotes better listening, more spontaneity, increased confidence as well as flexibility and agility. The benefits are not limited to just the individual experience. Because the exercises are done in pairs, triads and larger groups, they can also build team cohesion and collaboration. Another key part of what makes practicing improv effective is supporting our partners and helping them look good. 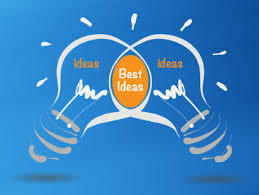 When we respond in the moment and build on the ideas that come up in the exercises, we’re not competing for credit. This approach de-emphasizes ego and contributes to better teamwork. Living in today’s period of unprecedented and accelerating change, it will be the people and institutions that are willing to adapt and consider new ways of doing things that will survive and thrive. There are too many examples of institutions that have faded because they didn’t. Contempt before investigation is a sure way to block progress and maintain the illusion of safety of the status quo. Yes, And is positive, versatile and invites participation. YES, that’s an interesting idea. . .AND. . .
From the Water Cooler . . .
What we send out, we get back. This entry was posted in 2015, Change, Communication, Leadership by lhedblom. Bookmark the permalink.